Lessons from Australia's revolution in water management. Australia is the driest inhabited continent on the planet, a reality that was underscored by wildfires, dry riverbeds and struggling farmers during its decade-long Millennium Drought. 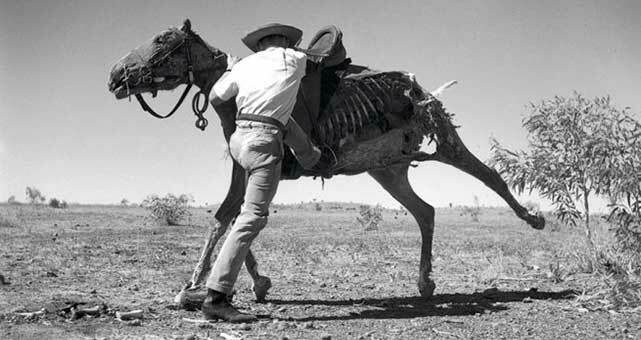 Beginning in 1995 and extending until 2012, the drought stretched Australia’s water resources to the limit. State and local officials were hesitant at first, but were forced to act as water flows dropped and aquifers began to run dry. “There’s nothing like a crisis to drive interest in a reform,” said Mike Young, who speaks from experience. The professor of environmental and water policy at the University of Adelaide has been a leader in Australia’s water reform movement since the 1990s. When the rains finally returned in 2011, Australia had achieved a radical overhaul of its water policy, with significant set-asides for the environment and the world’s largest water market, totalling $3 billion in Australian dollars by 2009-10 (US$2.13 billion). Nevertheless, it had been a series of water shortages over decades that had spurred Australia down the path toward reform. “Water markets in Australia are at least a 30-year ‘overnight’ success,” said Dustin Garrick, a professor of water policy at McMaster University in Hamilton, Ontario. Now other countries are looking to Australia’s example, as climate change makes water supplies more erratic and population growth generates ever-increasing demand. Young is currently working with a number of other water-stressed countries, hoping to help them sidestep some of Australia’s false starts. The seeds of Australia’s water reform were planted back in the 1880s when the then-colony of Victoria, spurred on by an earlier drought, passed an act that established crown ownership of surface water. It used this power to then allocate water to farmers and cities. The rest of the continent soon followed suit. Because the states owned the water, they had the capacity to change the allocation system without having to engage in myriad legal disputes. 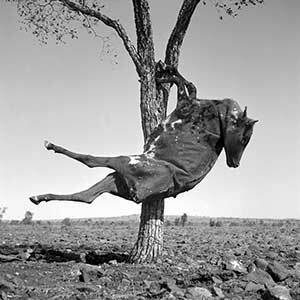 Photograph of dried carcass of a cow suspended in a tree. Taken by Sidney Nolan. Decades later, water shortages inspired a shift from water entitlements based on area of land irrigated to ones built around volumetric quantity. Separating water from land titles in this way gave water a value unto itself, eventually opening the door for it to be traded. By the 1990s, it was clear that the Murray-Darling Basin, which grows one-third of the country’s food supply and accounts for 70 per cent of its irrigated land area, was suffering. 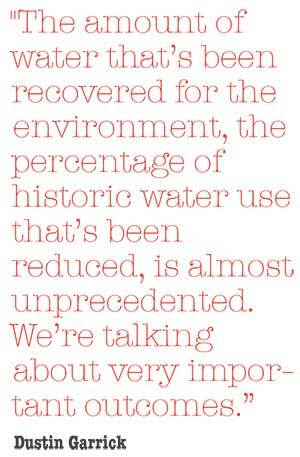 Water was overallocated, and water quality was declining from salinity and nutrient pollution. In 1995 the federal government set a cap on the total amount of surface water that could be extracted from the Murray-Darling Basin for agriculture, effectively kickstarting a cap-and-trade system. “At that point, water became more scarce, and trading started to take off,” said Quentin Grafton, director of the Centre for Water Economics, Environment and Policy at Australian National University. A key innovation was unbundling a grower’s entitlement, a permanent certificate to a water share, from the allotment – the actual volume of water they would get in a given month. The latter was decided by the government, based on the amount of water in the reservoirs. “Everyone has a share of water [rather than a guaranteed volume], so if there’s a drought, everyone has less,” said Jamie Pittock, an associate professor of environmental policy at Australian National University. Now people had a choice: They could continue to sell their allocations on the temporary market, or they could sell all or part of their entitlements on the permanent market. By making water trading more flexible, including allowing sales across state lines, water could flow to higher-value uses. For example, farmers with annual crops like rice could sell water in dry times to farmers with permanent crops such as orchards. Measuring water was also critical to the market’s success, so the government invested $500 million in water meters and monitoring, said Grafton. It also set up water-rights registers and water accounting systems that gave the market a dose of needed transparency. 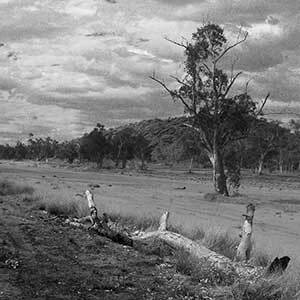 Still, as the Millennium Drought wore on, the Murray-Darling river system was once again at the brink of collapse. “It didn’t flow to the sea and had to be dredged for five or six years,” said Grafton. It was obvious that the first cap on extraction hadn’t managed to retain enough water during extreme drought. In 2012, the Murray-Darling Basin Plan shifted more water to the environment by reclaiming some water from irrigators. The federal government spent $3 billion to purchase entitlements from willing sellers and another $6 billion on subsidies for irrigators to upgrade infrastructure, such as drip irrigation or lining canals, in exchange for the entitlement to half the amount of water they saved, said Grafton. The latter strategy softened the blow for farmers but risks making the system too inflexible in the future, said Pittock. “It’s gold plating irrigation infrastructure that may not be viable for the long term in regards to climate change,” he said. Even with this reallocation, there’s still not enough water for the environment, said Pittock, pointing to Murray River’s ongoing struggle to flow to the sea and the challenging task set for environmental managers to craft an ecosystem that requires less water. “It’s a triage program,” he said. Irrigators are anxious too, left wondering when they’ll be asked to give up even more water, said Tom Chesson, CEO of the National Irrigators’ Council in Canberra. Although individual irrigators aren’t forced to sell, when they choose to do so, it impacts whole communities, he said, as supporting businesses close, leading to economic and social decline. Also unhappy are activists for indigenous people, whose water rights and needs have been routinely overlooked or marginalized, according to a 2013 paper by Queensland-based researchers in the Environmental and Planning Law Journal. The world has taken note. California lawmakers went to Australia this fall to gather tips on how to better survive drought. Chinese and Indian contingents have visited as well, said Grafton. Young held a temporary position at Harvard last year to work on exporting Australia’s hard-won wisdom to other water-strapped places, including the United Kingdom and western United States. A critical lesson, say the experts, is that Australia’s market is far from free. “Markets are the servants of sound governance, not the masters,” said Garrick. Critical to the market’s success are its foundation of stable institutions, clearly defined laws and open political discourse when adjustments are needed. Young recently published a blueprint for the western United States to transition to a similar system, and two water basins in Nevada are doing pilots. He said he hopes that success in these basins will convince other governments in the United States that the approach can work in North America. “It’s going to be a journey that will take some time, as it did in Australia,” he said.